FEVER TIME and GOBLIN RAIDS are extra features in-game where you can get a chance to grab a new Legendary gear, or a handful of Gold. Both are very helpful but how to trigger them is still a mystery...or not. - When Fever Time is activated, the next equipment dropped by monsters will become 100% Legendary! - So the best thing to do is to check your gears first, and see which gear you need to upgrade. 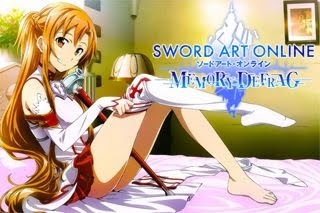 - Next, browse the Dungeon Stages and their available Equipment Cells, following your choice. Note that It is best to hunt an equipment that is suitable for your current Lvl range, and can be used for longer periods. - Make sure also that you can finish that Dungeon Stage, if not, choose another. - Note: If you can't complete the Dungeon Stage where the Legendary Item is present, you'll lose that item! - This will only affect the first gear drop, not all gears for the stage. So if you want to hunt a specific gear, better do it via the Dungeon Stages. - It is also possible to change characters under same server, after activating Fever Time. This can be very useful if you want to farm Legendary Items for your Main Character. - You can also hold on to your FEVER TIME for as long as you want, as long that you do not "link Equipment Cells". Fever Time's effect doesn't apply to party dungeon drops though. How to Trigger Fever Time? - So far the common answer is, it's "Totally Random", but if it's random then that would mean some players might be pretty lucky and some are not...then it would be a little unfair. - Activates only via Normal Dungeon Stages. - Activates either after Normal Stage Completion or Blitz. - Activates with any Rank you get after stage completion. - Activates even if you fail the stage. - Yes, it's is still Random but based from our simple tests, we actually arrived to a conclusion, it's not totally random. It is Based from STAMINA USAGE! - We recorded the total "Battle Zone Stamina Used" from the last Fever Time until it triggers again, and then the new pattern appeared. - NOTE: Confirmed working by our friends/guild and FB group. Spend around or at least 600+ Battle Zone Stamina and the trigger chance will come! - Battle Zone Stamina Used: 645 = FEVER TIME! - Battle Zone Stamina Used: 603 = FEVER TIME! - Battle Zone Stamina Used: 589 = FEVER TIME! - Battle Zone Stamina Used: 685 = FEVER TIME! - For me, the data above is actually pretty close to each other even if one reaches 700+. - So if you are an active player, collecting login Battle Zone Stamina bonuses, buying 1 Stamina Recharge (50 Carats per day), and spending around 300~400 Battle Zone Stamina per day, you should be able to get 1 FEVER TIME every 2 Days = Works every time as expected, at least now you can actually feel when it will trigger. - For non-active players, it would take longer than 2 Days, unless you spend more Stamina Recharge per day. - *We are just unsure if the Lvl of Character or Number of Carats used affects this. 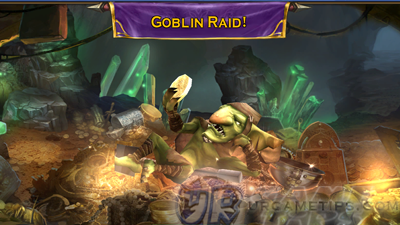 - One of the best ways to earn lots of Gold, the more goblins you defeat, the better. - Drop 1 of your AoE skills to the first goblin mob, if you are confident enough that your skill can defeat most or all of them, then run to the next goblin mob, repeat until you reach the starting point. - If you see a "glowing goblin", defeat them to get rare stones that can be sold for higher price. How to Trigger Goblin Raids? - So far the answer is that, it's "Totally Random". You can even trigger it while playing tutorial. - It looks like it will RANDOMLY trigger once or twice per day, at least. - You can try to change characters once activated, but the Icon for the Goblin Raid won't appear, it is only available for the character that activated it.